The challenges of living in a foreign country don't begin and end with culture shock. 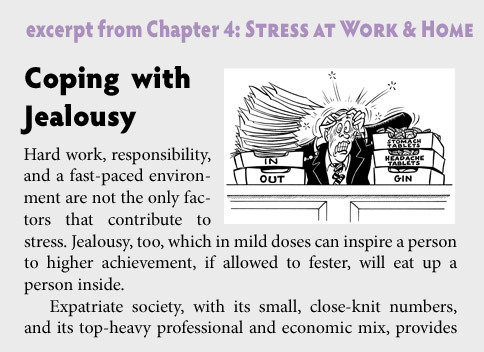 Expatriates face unique pressures and problems, often difficult to anticipate and a challenge to overcome, affecting relationships, children and career. 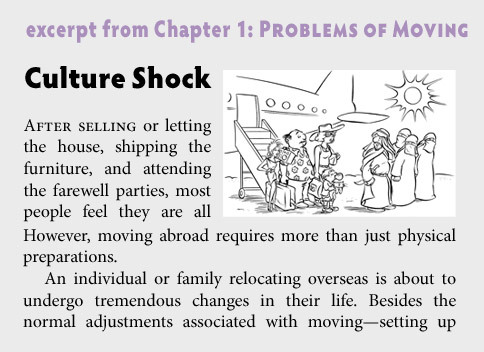 Whether you plan to move, or you've lived abroad 20 years, Living Abroad prepares you to avoid those pitfalls and remedy the problems of life away from home. 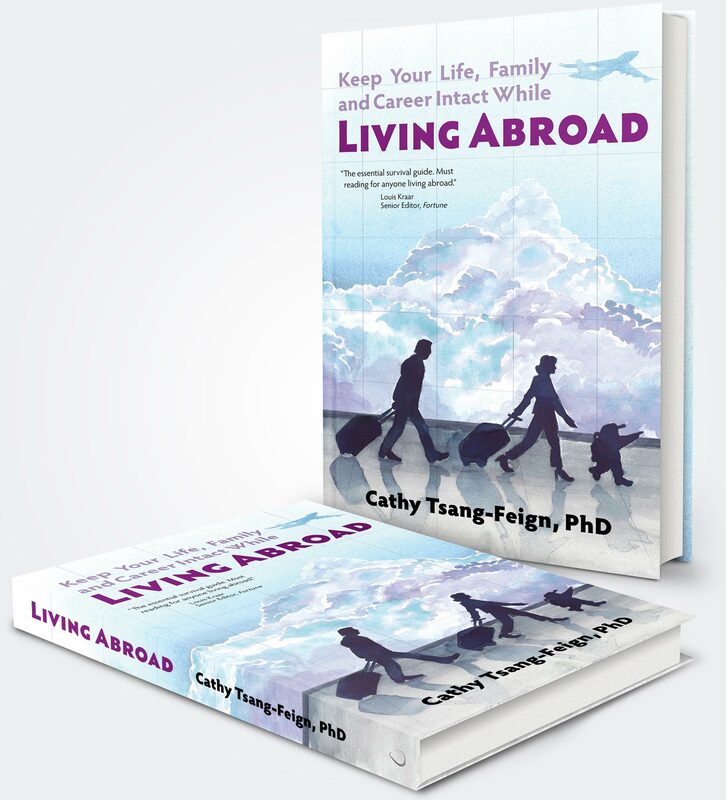 Using real-life examples and jargon-free advice, Dr. Tsang-Feign helps you face the unique challenges of the expat life: from preparing to move, to daily life overseas, to returning home. On the principle that “awareness is half the cure,” psychologist Cathy Tsang-Feign identifies and explains the often unexpected personal, relationship and family problems encountered by people living abroad. ...and many, many more topics besides, just for expatriates! Dr. Tsang-Feign fully prepares you for a move abroad, and helps expatriates already living overseas to help yourself live a well-rounded, satisfying life. The essential survival guide. Must reading for anyone living abroad. 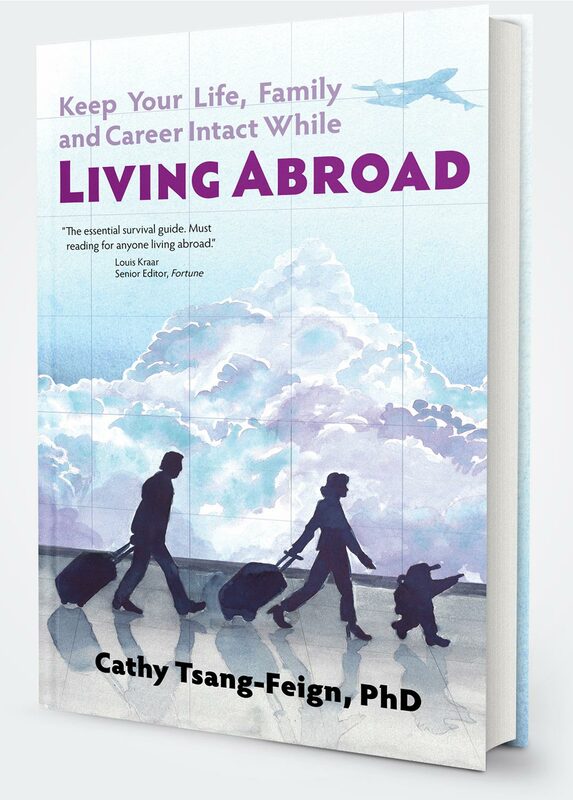 In an easy-to-read, jargon-free book Cathy Tsang-Feign helps confront problems unique to the expatriate experience. The best survival manual I've come across. If you live overseas or are going to, read this and keep it beside your bed. The best advice to an aspiring expatriate who has not yet left home is: Buy it, read it, pack it, use it. 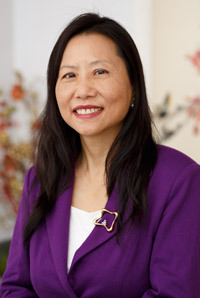 Dr. Cathy Tsang-Feign is a leading expert in the field of expatriate and cross-cultural psychology, based on decades of experience working with international executives and diplomats and their families in North America, Europe, Asia and Australia. She has practiced in Los Angeles and Atlanta, as well as London’s Harley Street, and currently runs a private practice in Hong Kong. She also provides training and assessments for international corporations and government organizations. Dr. Tsang-Feign is a former columnist on expat psychology and acculturation for the South China Morning Post and American in Britain. She is married with two children and is an avid gardener and beekeeper.